Smoked Okra- Veggies like a Smoky flavor Too! It’s time to bring a smoky flavor to one of my favorite though limited in availability, vegetables – smoked okra! Known as a super healthy food but one that sometimes confuses people on how to cook and eat it, I’m going to bring you an easy method of tenderizing and infusing okra with a pleasant smoky flavor that doesn’t stimulate the sticky juice known to lurk inside. Though I’m going to use a stove top smoker for my infusion, you can easily adapt this method to the gas grill, charcoal grill or electric smoker using a vegetable basket or tray. Seek out some vibrant green, firm okra and let’s get started on a new way to cook and flavor this healthy vegetable. 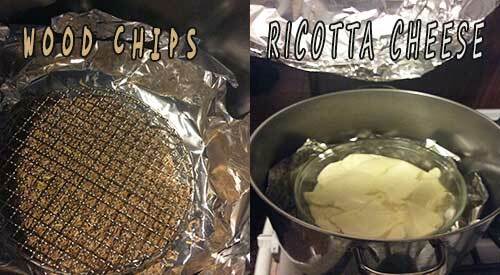 I’m using my Nordic Ware Stove Top Kettle Smoker for this hot smoking method. To start, I place the smoker base on the unlit burner and add about ¼ cup of Minuto® Wood Chips – I’m using a #6 in Sugar Maple – from SmokinLicious®. I place the drip pan on top of the wood chips and then ensure the food insert pan is clean and dry. For vegetables, I usually use a medium heat setting on my stove – I have a gas stove top. This will register between 200-250°F on the kettle smoker’s temperature gauge. Next, I’ll do a simple preparation to the okra and we’ll be ready to turn on the heat to the stove top unit. Tasting Notes: For the charcoal grill set up, use a two-zone cooking method – charcoal and wood lit on one half of the grill while the vegetable tray or basket containing the okra will go on the unlit side of the grill. Do the same set up on the gas grill. For the electric smoker, be sure to use a lower heat setting – around 180°F. Nothing could be simpler than the preparation for okra. You’ll want to ensure that the outside is clean and dry so a simple water wash is good with a pat dry. I like to remove the stem top to allow penetration of the smoke vapor into the center of the pod. Place about one pound of fresh okra with the stem tops trimmed into the smoker’s food tray. Try making an even layer of pods so the smoke vapor can flavor the pods evenly. 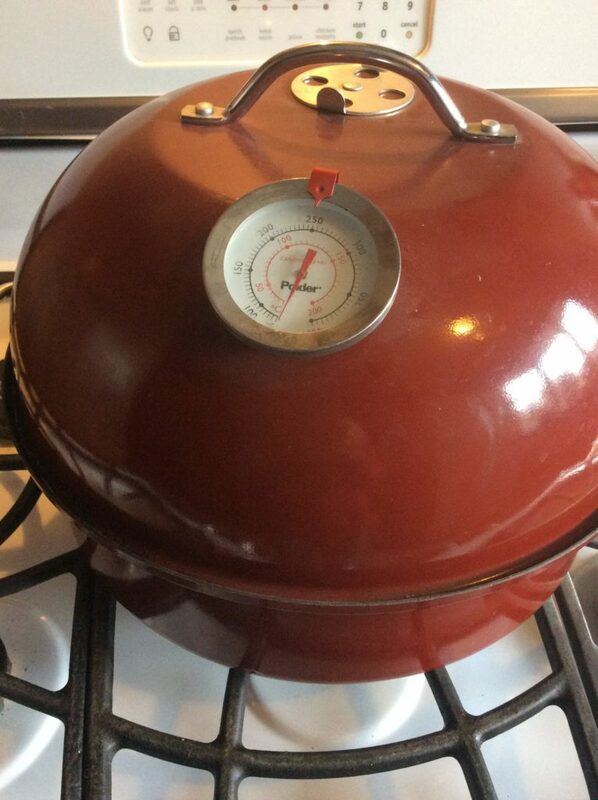 Cover the kettle smoker with the lid and turn the burner on to a medium setting. I use my stove’s vent on high to keep the aroma down somewhat. Allow the okra pods to tenderize and smoke for about 20 minutes before checking. You just want them to be tender (not falling apart), to where a knife can still cut them into pieces. Once done, remove the pods to a bowl and use these in recipes calling for okra or you can serve as is with a favorite sauce. I plan to make a soup with this batch of smoked okra that will compliment my diced tomatoes. 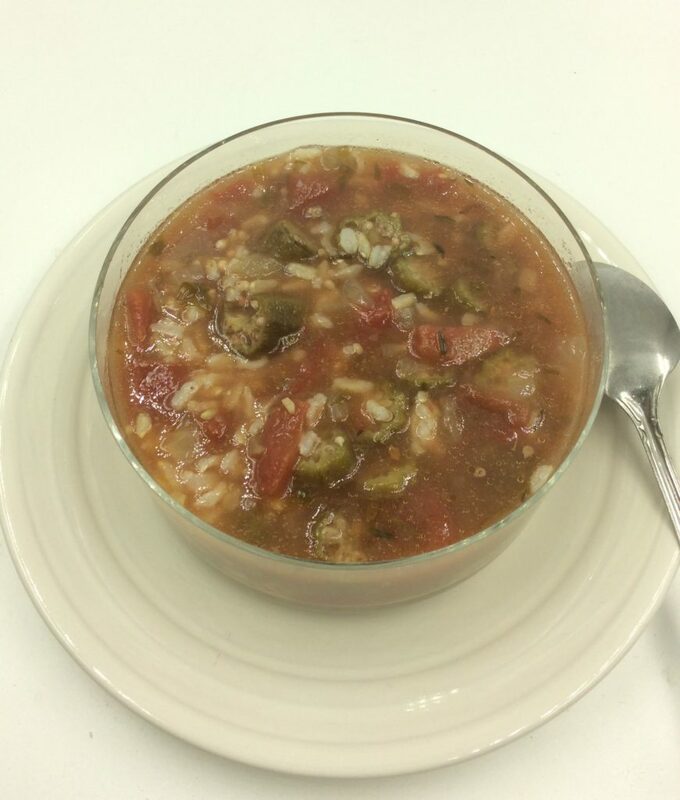 You’ll find that recipe publishing soon under the title “Wood Fired Okra Soup,” which is a great way to enjoy the healthy benefits of this less used vegetable. Tasting Notes: By smoking the okra you’ll find the mucilaginous juice reduces significantly. There will still be enough of this juice left within the pods to gently thicken the soup. I prefer to start cooking this soup, then refrigerator overnight, and reheat for serving the next day. This produces the perfect, slightly thickened consistency to be ladled over cooked rice. Do you have a favorite method of cooking okra? 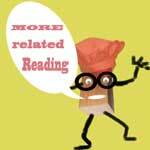 Leave us a comment to opine and subscribe to get all our postings on tips, techniques and recipes. Bringing innovation to wood fired cooking with recipes, techniques and the science behind the fire, smoke, and flavor. 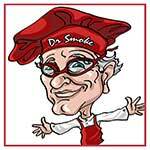 That’s SmokinLicious®. -PERFECTION OF THE SMOKED PEAR! 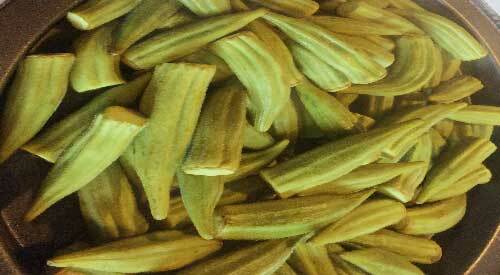 Dr. Smoke- Wood Fired Smoke Okra is fun and easy to prepare on the stove top with a smoker unit or a stock pot!